As you flip calendar pages and the year jumps onward, why not take a leap with your eyewear too? Eyewear is the newest way to infuse your wardrobe with stylish fun. To make sure you choose the right frames to announce you as a bona fide fashionista, check out the following eye-catching optical trends for 2018. For starters, cast aside any eyewear based on the “form is function” principle. From the runways of Paris to New York, innovative eyeglasses are attracting attention. 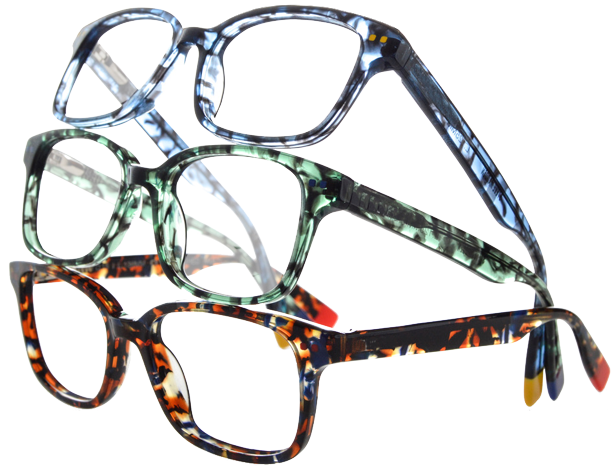 Form is now a striking blend of inventive shapes, vibrant colors, artistic lines, and wild prints. It’s time to revisit the 80s, and no – that doesn’t mean you should pull on a pair of legwarmers or acid washed jeans. But you can strut around with cat’s eye glasses or frames in any shape you want, as long as they are made from thick, brightly colored plastic. Oversized frames in oval, round or square shapes are perfect for the upcoming trend, as well as translucent and glossy acetate eyewear. 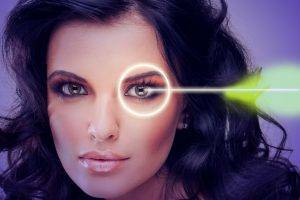 Futuristic touches are on display in many upcoming designer optical collections. Look out for lenses that overlap onto the frames and totally frameless designs. If you’re very daring, pick up a pair of visor style glasses, which cut across the brow line and continue into thick temples, like a shield for your eyes. After we’ve discussed so many visionary features found in contemporary eyewear, it may seem strange to point out that minimalism is also in. If you prefer sophistication in your glasses, you’ll appreciate the smooth blend of materials, such as acetate and metal, that’s becoming popular. Many of these frames have a vintage look, such as small, round wire rimmed eyeglasses and designs with double bridges. Jazzy patterns, such as marbling and frames that fade with a gradient effect are filling up the display shelves. Classic tortoiseshell is still popular, yet now it comes in a wider range of color tones. Metal frames are given new expression this year with laser perforated details and embossed decorations. For a bold expression, black rimmed eyeglasses and thick wood frames are also making a prominent appearance. Optical fashions for this upcoming year are incredibly diverse, with lots of leeway. Other than stubbornly holding on to your old pair of plain, boring and basic frames, it’s tricky to really go against the trend with your choice of eyewear in 2018.